Iran is emerging as an arena of rivalry between China and India. Beijing is using its substantial leverage with Tehran to persuade Iran to expand cooperation in economic, connectivity, political, and security areas. New Delhi fears that elements of expanded Sino-Iranian cooperation may compromise India’s national security and add another potentially potent element to the growth of Chinese power in the Indian Ocean region. Analysts have long been attuned to Chinese-Indian rivalry in places like Nepal, Myanmar, Sri Lanka, or the small island states of the Indian Ocean. Now Iran is emerging as a focus. Given Iran’s power potential, the outcome of this Sino-Indian contest may be a significant determinant of China’s emerging role in the Indian Ocean region. 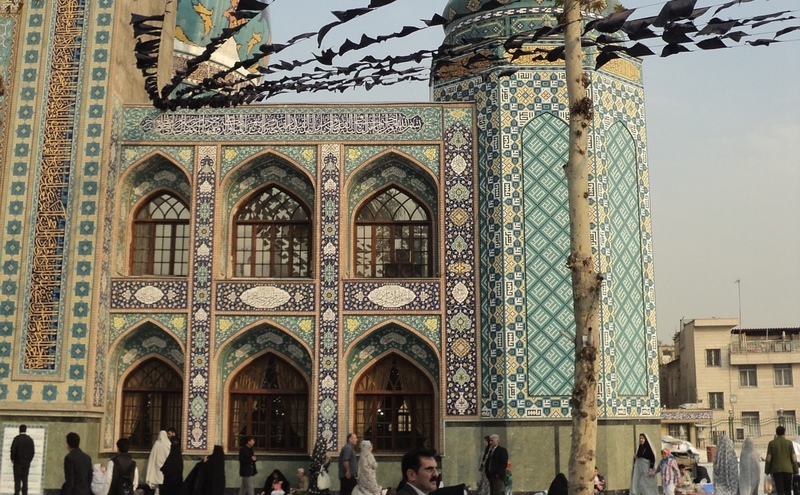 Dimensions of China’s recent courtship of Iran include: war and peace, international connectivity, and enhanced security cooperation. Regarding the issue of war and peace, in 2013-2015 China undertook a high-profile and ultimately successful mediation effort in the Seven Party negotiations over Iran’s nuclear program. (The “P5 + 1” + Iran = 7; the “P5” includes the five permanent members of the United Nations Security Council: the United States, UK, France, China, and Russia, plus one, Germany.) Those negotiations led to the Joint Comprehensive Plan of Action (JCPOA) agreement in July 2015 that was successfully implemented by January 2016. In exchange for Iran’s scaling back of its nuclear program, many international sanctions against it were lifted. China’s mediatory effort represented a bold initiative (for China) that was one manifestation less risk-adverse “pro-active diplomacy” mandated by Xi Jinping after he took power late in 2012. China’s mediation effort was also a significant investment of political capital in Iran’s long-term emergence as a major regional power. China’s mediation effort in the Seven Party talks stands with China’s 1987-1988 role in assisting Tehran escape from war (in that case with Iraq) via a Security Council ceasefire agreement acceptable to Tehran. During the Seven Party talks, China played an important role in convincing Iran to come to terms with international concerns about its nuclear program. Beijing also helped persuade Washington to reach a compromise with Tehran at that juncture. Wikileaks documents show that even prior to the start of the Seven Party talks, China was passing messages between Washington and Tehran, and giving both sides advice about how to move forward in their quest for better ties. China’s efforts thus helped Iran avoid a potentially devastating war with Israel and the United States, a war that might have eviscerated Iran’s comprehensive national power. The China-mediated nuclear deal secured for Iran the lifting of sanctions, while safe guarding Iran’s “right” to non-military use of nuclear energy under the Non-Proliferation Treaty. Comments by Iranian leaders indicate gratitude to China for its “positive and constructive” role. During the Seven Party talks Beijing demonstrated, as it did in 1987-88, that China is Iran’s sincere and capable friend on issues of war and peace. Beijing is now using that capital to entice Iran into expanded cooperation. India sought and secured a degree of detachment from the United States during the debate over Iran’s nuclear programs, but undertook nothing comparable to China’s high-profile and vigorous mediation effort. Nor did India have the substantial economic leverage with both the United States and Iran that China possessed while advising Washington and Tehran about the nuclear issue. India was also handicapped by its non-inclusion in the United Nations inner circle on the nuclear talks. In contrast to India, China demonstrated to Iran via its JCPOA mediation effort that it could get things done on matters of war and peace. Regarding international connectivity, with the lifting of international sanctions in January 2016, China is offering Iran very large Chinese investments in Iranian industrialization, especially in the area of infrastructure: railways, highways, telecommunications, energy, harbors, and ports. These proposals were laid out by China’s ambassador to Iran shortly before the nuclear deal was completed, and represented, in effect, a Chinese inducement to come to terms over its nuclear program. Once that deal was implemented in January 2016, President Jiang Zemin carried more specific offers to Tehran, promising major Chinese financing and investment if Iran engages with China’s One Belt, One Road programs. Xi’s visit was the first by a foreign leader to Iran after the successful implementation of the JCPOA. It was also the first visit by China’s top leader to Iran since 2002 — 14 years before. China’s vision is of dedicated trains and (perhaps) dedicated rails carrying containers of Chinese goods to Iranian ports for further shipment to the Middle East and western Indian Ocean region. If and when Iranian ports join Kyaukpyu in Myanmar and Gwadar in Pakistan as littoral gateways for Chinese commerce entering the Indian Ocean, China will have gone a good distance toward mitigating its Malacca dilemma. Chinese goods will also have better access to large markets around the Indian Ocean region. There is apparently a debate underway in Iran over deeper Iranian dependence on China, as opposed to intensified efforts to secure greater European re-engagement with Iran’s economy. India has made an effort to limit or counter deeper Iranian economic integration with China. Four months after Xi’s visit to Tehran, Indian Prime Minister Narendra Modi conveyed to Tehran India’s proposals for expanded cooperation, proposing revival of a harbor, rail, and road project linking Chabahar in Iranian Baluchistan with Delaram in west central Afghanistan and thence with Central Asia. The Chabahar project was paralleled by a tripartite Iran-Afghan-Indian transportation agreement designed to boost trade between India, Russia, and Central Asia via Iran. A third component of Modi’s effort was revival of the idea of a north-south corridor involving Russia, Iran, and India, and carrying Caspian Sea region oil and gas to Iranian ports for forward shipment to India and the world, while Indian goods would flow north to Central Asia. In effect, Modi’s plan is an effort to moderate Iran’s economic dependence on China. In the area of security, during Xi Jinping’s January 2016 visit, Iran and China signed a 25- year Comprehensive Strategic Partnership. The political framework of the agreement included mutual support on “issues pertaining to their core interests,” including China’s One China policy and Iran’s “increasing role in regional and international affairs.” In the “regional domain,” the two countries supported “multi-polarization of the international system,” non-interference in the internal affairs of other countries, and jointly opposed “imposition of unjust sanctions against other countries.” All of these provisions were implicitly directed against the U.S. China also undertook to support Iran in the areas of “space” and “peaceful use of nuclear energy.” In terms of relations between Chinese and Iranian militaries, there was to be enhanced training, exchange of information, and “equipment and technology.” The degree of Chinese alignment with Iran against the United States implicit in the terms of the Comprehensive Strategic Partnership marked a sharp departure from Beijing’s earlier careful reluctance to align with Iran against the United States. This too seems to be a manifestation of Xi Jinping’s less risk-adverse diplomacy. Visits to Iranian ports by PLA Navy (PLAN) warships is one concrete manifestation of the expanded Iran-China military partnership. While small PLAN squadrons began calling at Indian Ocean ports in 1985 and greatly increased such activity after Beijing’s December 2008 decision to join international anti-piracy operations in the Gulf of Aden, Chinese warships conspicuously avoided Iranian ports. Then in September 2014, two PLAN destroyers made the first-ever visit by PRC warships to Iranian ports. That was two years into Xi Jinping’s leadership, at the same time movement toward what became the July 2015 agreement was accelerating. Taken together, the September 2014 PLAN port calls and the Comprehensive Strategic Partnership bode a significantly expanded PRC-IR military partnership. Nothing in the January 2016 Sino-Iranian joint declaration even insinuates opposition to India. Indeed, Beijing’s bid to India is that it should partner with China and other like-minded countries such as Iran, to deal with common concerns with the security of their sea lines of communications in the Indian Ocean. India should, in Beijing’s view, take China rather than the United States as its partner in dealing with security matters in the Indian Ocean. That has not thus far been an attractive choice from India’s perspective because it would open wider the door to growth of PLAN presence in the Indian Ocean region, ultimately posing the possibility of China becoming a resident power in the South Asia-Indian Ocean Region and the United States could be persuaded to “go home” and leave Asian matters for Asians to deal with. India might then find itself living in a China-dominated SA-IOR. Commentators in the Indian media have been critical of New Delhi’s slow response to China’s push for expanded partnership with Iran. Modi’s May 2016 visit to Tehran seems to have been recognition of a more vigorous Indian counter to Beijing’s efforts. The agreements struck during Modi’s visit demonstrate Iranian gains to be had through cooperation with India. In private talks with Iranian leaders, Modi certainly would make clear India’s hopes that the evolution of Iran-China ties would not injure India’s national security. The Iran card is in play. New Delhi is calling Beijing’s bid. Several macro-structural changes underlie the new Chinese-Indian rivalry. The PLAN’s 2009 entry into the Indian Ocean on a permanent and expanding basis has raised the stakes for both China and India. Iran’s growing regional influence — in Lebanon, Syria, Iraq, and Yemen — incline Tehran to look for a great power supporter such as its known and trusted friend China. The intensification of India’s security partnership with the United States raises the danger for New Delhi that Tehran will drift into opposition to India’s alignment with the U.S. Beijing will certainly play up this theme, intensifying the need for India to counter Beijing and demonstrate India’s friendship toward Iran. But perhaps the most important influence has been the recession of U.S. power as a regulator of both Chinese and Indian ties with Iran. During the 1990s through the 2000s, Washington used its great influence to dissuade both Beijing and New Delhi from moving too close to Tehran. The volte-face in U.S. policy embodied in the July 2015 agreement made it possible for both Beijing and New Delhi to undertake initiatives toward Tehran based on their own interests, rather than on U.S. policy interests. Simply stated, the withdrawal of U.S. power has led to intensification of Sino-Indian rivalry toward Iran. previous post: New Challenges for Xi Jinping’s Anti-corruption Crackdown?